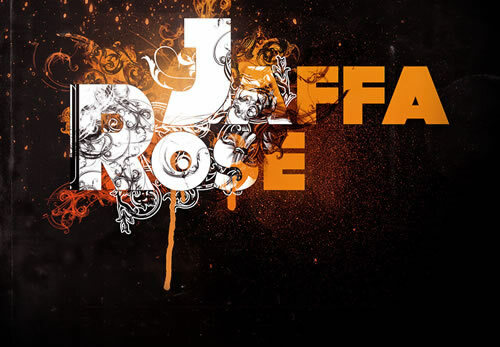 Welcome to the Jaffa Rose website! You're probably here because you've seen/heard/endured us and want to know whether we prefer to drink standing up or sitting down. Well the answer is neither. Jaffa Rose started life as a jazz quartet, having formed at the University of Warwick where we all study. We are now a six piece, writing and gigging original material that draws on many influences to produce some noise that is no longer straight jazz. Jaffa Rose's debut release, the Jaffa Minute? EP is now available to buy online! The five track CD was recorded live at Woodbine Studios in Leamington Spa in November 2005. Click here to see more about the record. Our latest release is the Second in Demand EP which you can read more about and buy on this page. The tracks on the CD can be heard on our Myspace page. Please join our mailing list by filling in the form on the right if you are interested in receiving news updates from us occasionally. We hope you enjoy the rest of the website as much as we enjoy a drink lying down.